“I’d never heard of the White Citizens Council,” said one of the teachers in a workshop facilitated by Julian Hipkins III in Benton County in mid-January. 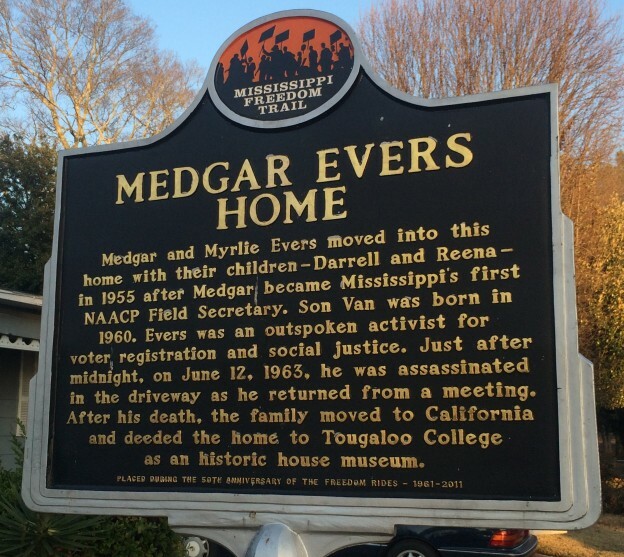 Hipkins traveled to Ashland, Meridian, and Jackson to meet with teachers, administrators, and partners about Teaching for Change‘s statewide Mississippi effort to promote teaching about Civil Rights Movement and labor history. The visit was coordinated by The Hill Country Project Executive Director, Roy DeBerry and Freedom Summer volunteer Mark Levy. Both of these movement veterans applied their organizing skills to planning Hipkins’ visit. 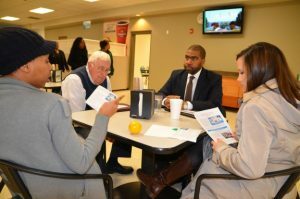 They made sure that every minute of each day was full and that there were opportunities to meet directly with teachers, community members, and administrators. At Ashland High School, Hipkins conducted the Medgar Evers lesson with the entire staff. During the lesson, teachers met figures from the Civil Rights Movement focusing on the southern freedom movement in Mississippi. After the lesson, teachers discussed learning about people they had never heard of before, and why it is important for students to know the rich history of Mississippi. 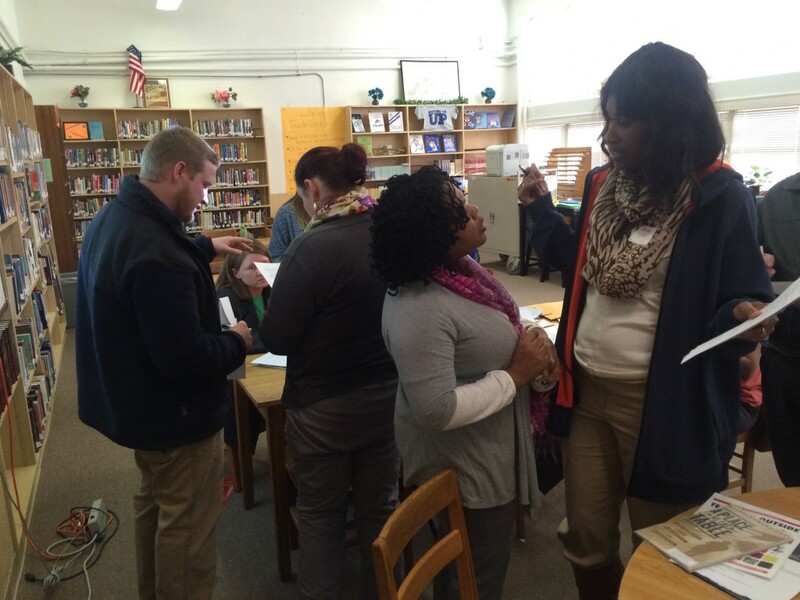 Teachers at Ashland High School participate in the Medgar Evers lesson. 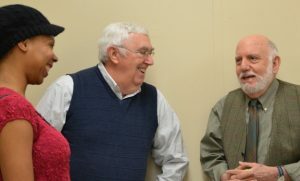 Thanks to the meetings set up by DeBerry and Levy, Hipkins was able to introduce the initiative on teaching about Civil Rights Movement and labor history in Mississippi to: Jake Gadd, Superintendent of Benton County School District and four principals in Benton County, Dr. LaKimberly Hobson, Dr. Sharon Albert, Ms. Rosie Ladd, and Mr. Barry Goolsby; Stacey Everett of the Mississippi Civil Rights Museum; and Anna Stephenson, Asha el-Shar, and Dr. Bill Scaggs of the The Meridian Freedom Project; Barbara Andrews and Beverly Sakauye of the National Civil Rights Museum, and Dr. Janet Elizabeth Bordelon of the Institute for Southern Jewish Life. Hipkins also attended a meeting of the Mississippi Civil Rights Education Commission where he shared updates about our initiative including the Mississippi Historypin page and the upcoming Mississippi National History Day competition. 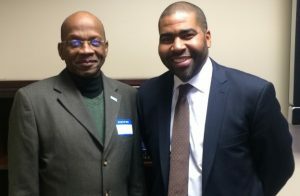 Finally, he met with two initiative partners: Chauncey Spears of the Mississippi Department of Education and Cynthia Palmer of the Veterans of the Mississippi Civil Rights Movement. As a result of this visit, there are now more opportunities for the current teacher fellows and new teachers that are applying to participate. Hipkins will return to Mississippi in March for the Veterans of the Mississippi Civil Rights Movement Annual Conference and the Mississippi National History Day competition.